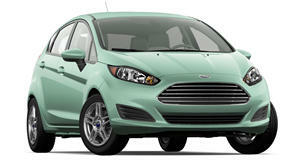 A few minutes is all it takes to boost the Ford Fiesta hatch's hp and torque. Superchips is selling a do-it-yourself home tuning kit for the Ford Fiesta Zetec S hatchback. The British tuners make it so easy, you don&apos;t even have to get your hands dirty. All it takes is a little cash and a little time. All the owner has to do is pick up Superchips&apos; Bluefin plug &apos;n&apos; go handset and plug it into the Fiesta&apos;s OBDII diagnostic port. Then they follow a few instructions on the screen and your 1.6-liter Duratec Ti-VCT engine produces 128hp. The handset features a partially automatic ECU remap that consists of a &apos;mixture of dyno tuning and real world road testing.&apos; The limiter adjusts automatically, instantly giving you a sportier feel. The whole process only takes a few minutes. For a meager £249.00, you can get an extra 10hp and 10lb-ft of torque.